The Leica Kyoto Store is a Leica flagship store that operates in Gion, a district that is awash in tradition and status. A 100-year-old, two-story traditional townhouse reconstructed using artisanal techniques, and with beams, pillars and other lumber that could be reclaimed from the original construction, has been married to the Leica worldview, creating a unique Leica store unlike any before it. The store’s interior, which evokes an atmosphere of Japanese tradition, features a full range of Leica's current products that customers can freely browse in a comfortable environment. In addition, we have prepared items like original camera accessories through collaboration with Kyoto's traditional handicraft makers. We offer consultations on services, including repair and maintenance, and have established a gallery that showcases works from internationally renowned photographers—we comprehensively introduce the Leica worldview and lifestyles with Leica. 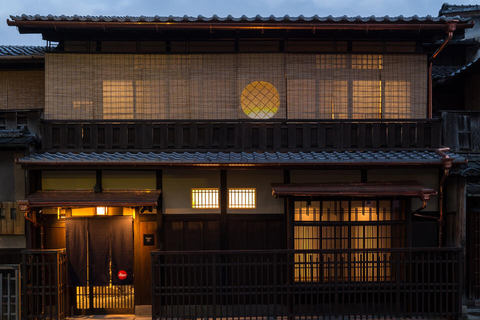 Moreover, we plan to hold special events and seminars that are only possible in Kyoto at locations such as our studio, which faces a small garden, as well as the gallery on the second floor, and the VIP salon. 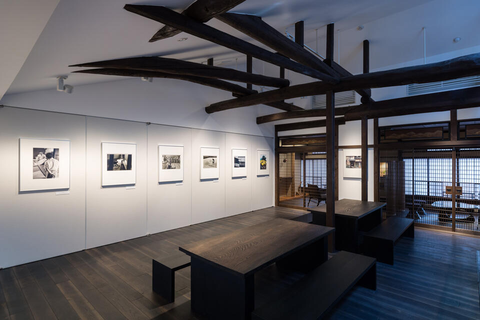 We are confident that Leica users and photography lovers—from Japan and around the world—will come to interact, with the beautiful Kyoto Gion as a backdrop, and that this store will become a new center for creativity. This is a duty-free shop. Hanami-koji is the main street of Gion, a district that symbolizes the history and culture of Kyoto, and where the beauty of Japan converges. Among the institutions lining its roads are the Gionkobu Kaburenjo, where the Miyako Odori (dances) is performed; Kenninji Temple, which possesses the national treasure "Fujin Raijin-zu Byobu" (the folding screens of the Wind God and Thunder God), painted by Tawaraya Sotatsu; and restaurants and cafes housed in traditional townhouse constructions. In the spirited townscape one can even see maiko (apprentice geisha) frequently going back and forth. Modern paintings, handicrafts, and photographs with a focus on artists like Murakami Kagaku, Yamaguchi Kaoru, and Kitaoji Rosanjin are on display here. It is a quiet, relaxing venue that has realized an appreciation space suitable for works of art. Natural light pours into the bright courtyard on the fifth floor, there is a pleasant sound of wind, and visitors can enjoy beautiful silhouettes of light that change with the seasons and the time of day. Several times each year, the entire building is used to hold specially planned exhibitions.